NTDs cause blindness, huge swelling in appendages and limbs, severe malnutrition and anaemia—all brilliantly highlighted in the END7 Youtube video featuring Eddie Redmayne and others. “There is no silver bullet remedy to helping a country break the cycle of poverty, but investing in the health of its population offers one of the best options for unlocking economic potential”. Those afflicted include more than 500 million children. In a randomised controlled trial in Ethiopia, researchers found that consistently treating trachoma halved childhood mortality, while a study in Kenya demonstrated that deworming children leads to a 25% decrease in school absenteeism. Compare the cost of one cup of coffee at Starbucks, which can range from £1.75 to £3.50, to the just 30 pence — or 50 cents, half a US dollar — per person per year which is all that is needed to treat and protect one person against all seven NTDs. This in turn averts malnutrition, improves education outcomes, improves maternal and child health, reduces new cases of HIV and sets the stage for sustainable economic development. 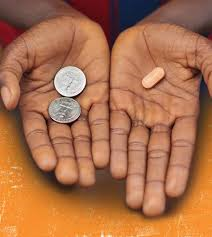 In Africa, the entire at-risk population could be treated for £250 million or less annually. Yet efforts to control and eliminate NTDs receive less than 2% of total global health funding, and the elimination of many of the NTDs will not be achieved without significant investment in water and sanitation interventions. Such an approach should surely be central to post-2015 objectives, and I hope that we will hear from the Minister on this. 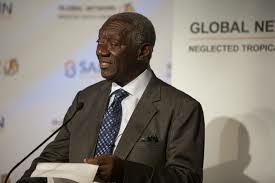 I am particularly concerned that the 2013 report of the Sustainable Development Solutions Network, An Action Agenda for Sustainable Development, does not mention NTDs. Surely that should be rectified. I hope that the Minister will comment on that. 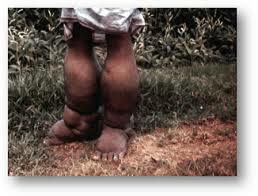 Many of the curses that afflict us cannot be conquered but NTDs can. These ancient diseases can and should be a thing of the past, and it is not misty romanticism or idealism to talk of a world free of NTDs for the next generation. This is achievable, and we would be failing millions, and failing our duty, not to do it. My noble friend therefore deserves our thanks for keeping this issue on the agenda, and the United Nations and development agencies should be lobbied by parliamentarians and Governments the world over to make this achievable objective a reality. I hope that the Minister will tell us that the Government are committed to doing precisely that. In Africa, the entire at-risk population could be treated for £250 million or less annually. Compare the cost of one cup of coffee at Starbucks, which can range from £1.75 to £3.50, to the fact that just 30p—or 50 cents, half a US dollar—per person per year is all that is needed to treat and protect one person against all seven NTDs. Some further thoughts and facts…. In the United States Congress allocated twice as much funding towards Avian Flu preparedness, despite the fact that Avian Flu has only caused 1,000 deaths over the past 10 years. Yet the U.S. and U.K are two of the countries which do most to work for the eradication of NTDs. So what should be our highest priority and strategy in achieving the elimination of all seven of these wretched diseases by 2020? It will surely be a combination of providing these cheap and effective drugs linked to the provision of clean water and the involvement of yet more countries in prioritizing their elimination. 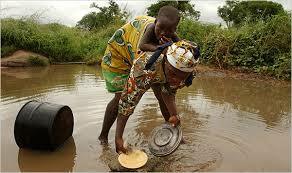 Quite often these diseases are tied to poor sanitation and lack of access to clean water. Clean water is essential for sustainable NTD prevention. Many of these diseases can be spread by drinking contaminated water and eating food that was not properly washed. Areas with stagnant water are breeding grounds for insects that carry NTDs, notably mosquitoes, which transmit lymphatic filariasis. In many communities, key water sources harbour the parasite that causes snail fever. Whenever possible, water and sanitation programs should include NTD control measures to maximize the positive benefits of NTD interventions. Water, sanitation and hygiene (WASH) are a crucial but all too often underplayed part of the prevention and control of NTDs. 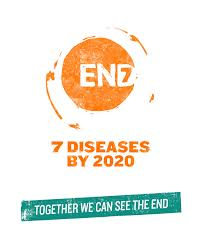 The elimination of many of the NTDs will not be achieved without significant investment in WASH interventions. Measures to improve WASH should be included in the post 2015 objectives, including a dedicated goal on water and sanitation and ambitious targets to ensure that no-one practices open defecation; that everyone has safe water, sanitation and hygiene at home and that all school and health facilities have safe water, sanitation and hygiene. Any new framework must learn lessons from the Millennium Development Goalss. Of paramount importance is the need to recognise that further progress in improving health and wellbeing can only be made by reducing inequalities and recognising the broader determinants of health outcomes, including WASH. The global fight against NTDs has already begun, but universal and continuous support is critical to achieving lasting results. Long-term elimination goals cannot be reached without addressing primary risk factors for NTDs such as access to clean water and basic sanitation, vector control, and stronger health systems in endemic areas. These issues will need to be addressed beyond the World Health Organisation’s 2020 goals and as part of the post-2015 development framework. 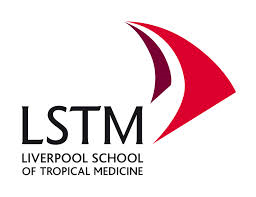 Neglected Tropical Disease (NTD) is a major cross-cutting theme at Liverpool School Of Tropical Medicine and a particular strength of the Parasitology and Vector Biology Departments. One billion people residing in the world’s most disadvantaged communities suffer from at least one NTD, which can significantly impact upon their physical and emotional wellbeing. Typically this is combined with economic hardship when affected individuals are prevented from working and receiving education, and so NTDs perpetuate the cycle of poverty. 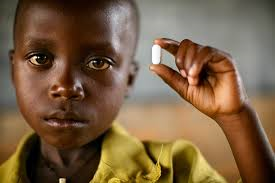 Important questions are being raised concerning approaches to the control and elimination of NTDs. While scaling up access to preventive chemotherapy for NTDs is a priority, achieving effective treatment coverage alone is not enough to achieve the 2020 NTD targets. LSTM is working to identify and overcome critical bottlenecks by designing programmes to adopt a more flexible approach and evaluating alternative and integrated strategies to overcome the existing barriers to control and elimination (e.g. A∙WOL). In addition to preventive chemotherapy, the WHO recommends complementary strategies to accelerate transmission interruption, including vector control, the provision of sanitation and hygiene, health awareness and capacity building. LSTM is a leader in NTD research and global disease elimination/control programme management. By using a multidisciplinary approach to research and its translation into policy and practice we capitalise upon the political and financial commitments made at the London Declaration in 2012. LSTM have begun the ‘Countdown to 2020’. Our Centre for NTD contribute to a scorecard that tracks the delivery of London Declaration commitments, highlights key milestones and targets, and helps identify priority action areas to ensure that 2020 goals are achieved or revised. • Pharma partners supplied 1.12 billion treatments meeting the increased requests from endemic countries. 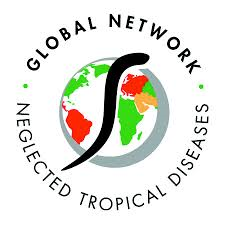 • Donors committed over £500m to support integrated NTD programs, scale up and expand existing programmes, increase resources available for mapping, improve program strategies through research, and develop new tools. • More than 40 endemic countries developed multi-year integrated NTD plans, and Nigeria, Brazil, Cameroon, Uganda, Ghana and Ethiopia launched their plans. ‘Mega countries’, Ethiopia and DRC have completed coordinated mapping of preventative chemotherapy NTDs and ready to start Mass Drug Administration. An excellently researched and an appealing paper that gives the reality of what millions of poor people in Africa go through. Please support the work of Lord Alton in releaving this pain.